Amidst Blue Jays mania, an invitation to consider Toronto’s fifth most-popular sporting draw. 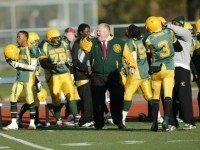 According to Catholic school board documents, the mayor turned up drunk for practice, threatened a teacher, and forced players to roll in goose droppings. Football great "Cookie" Gilchrist's turbulent time in Argonaut double-blue. 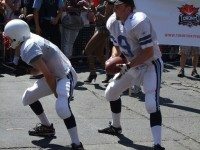 A founder of Toronto's first gay football league describes how he learned the meaning of Pride. After a season of Ford-related press scrutiny, the team suffered a 28–14 loss in its final game. For all that it lacked in drama, the 100th Grey Cup will be remembered, by those loyal to championship-starved Toronto teams, as a win. As they prepare to play in the 100th Grey Cup game this coming Sunday, the Toronto Argonauts look like they've righted their once-sinking ship just in time. The mayor couldn't attend his trial because he was busy being the best at coaching high-school football. 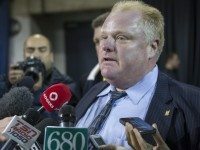 Doug Ford maintained recently that when Don Bosco players look up at the stands during a game, they don't see their parents, but they do see the mayor. We went to the team's season opener to see who was there. "Hey everyone! I am really sad to let you all know that I have left the Toronto Triumph, along with many of my teammates. It was one of the hardest decisions I've had to make thus far, however, I had to stand up for what I felt was right. Unfortunately, it cost me the greatest sport in the world." 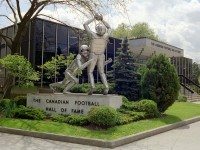 How the 1982 Grey Cup gave birth to SkyDome. Are You Ready for Some (Real) Football?